Disclosure: I received a free product in exchange for my honest review. All thoughts and opinions expressed are my own. Some of the links in this post are affiliate links, meaning, at no cost to you, I may earn a commission if you click through and make a purchase. It helps me create content like this for you, and I thank you for your support. If you’ve seen my videos or blog posts about protecting and strengthening your eyes, you know how serious I am about this subject. 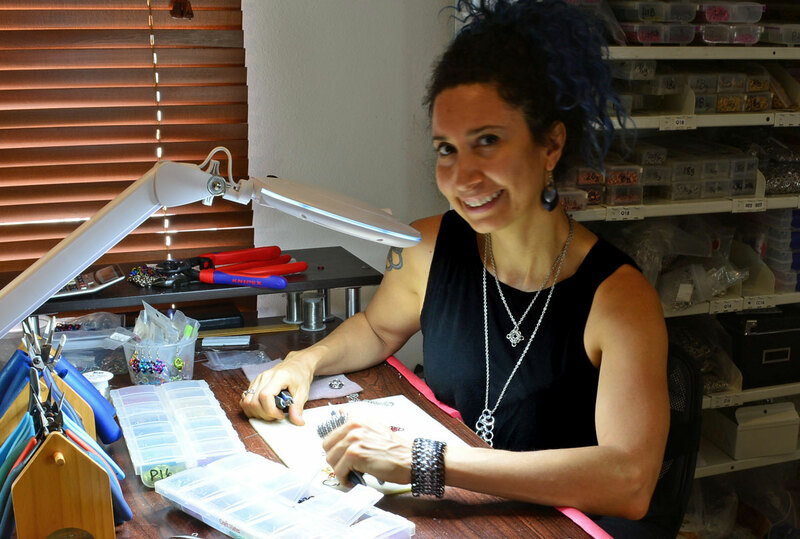 In addition to eye exercises, good lighting is my top recommendation for preserving your eyesight if you do detailed handiwork like jewelry-making or crafts. 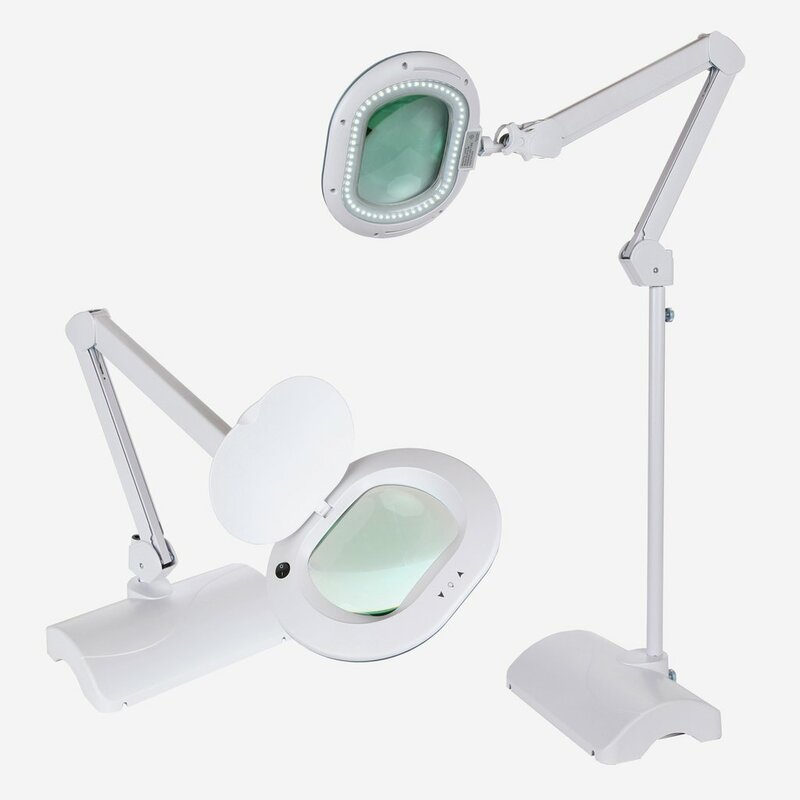 Therefore, I jumped at the chance to test out the LightView XL 2-in-1 magnifier lamp by Brightech. Assembly is very intuitive. Without glancing at the instructions (because I’m stubborn like that), I put the lamp together in under 2 minutes. The base is substantially weighty – it’s about 11.5 lbs. This is to be expected as it needs to act as a counter balance when the upper arm is fully extended. One of the nifty things about this lamp is that it converts from a floor to a table lamp. I wanted to test the table function first, so I assembled it without the long rod (shown at the right of the base in the photo above left). According to the manufacturer, the Lightview XL 2-in-1 is energy saving and draws on just 9 watts to generate 900 lumens, equal to a 65W incandescent bulb. The lights are made to last up to 100,000 hours. OK, given my average weekly weaving time, this lamp should last, oh, until I’m more than 130 years old … all good! 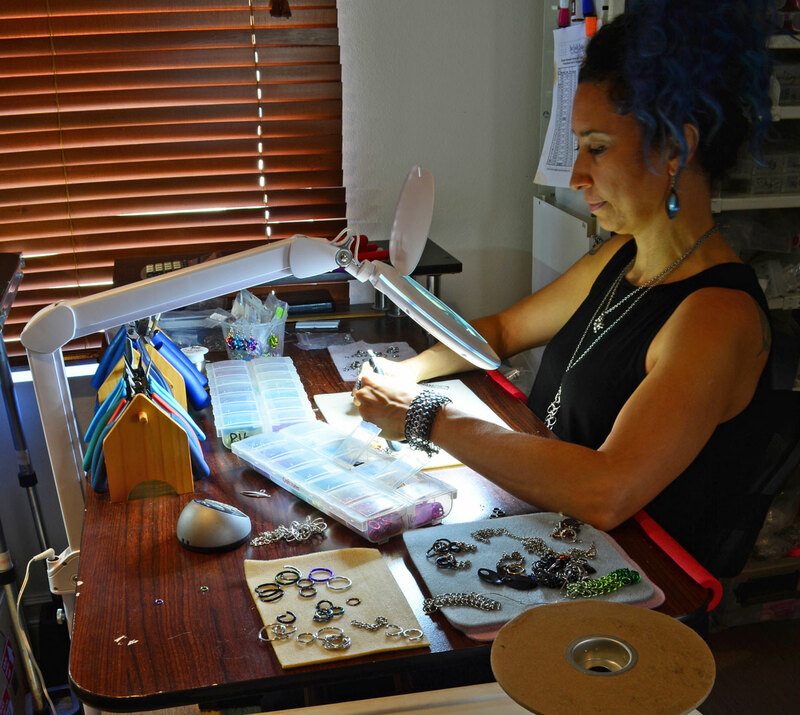 I am fortunate enough to have excellent vision and I don’t often work with tiny jump rings, so I likely won’t have a need for the magnifier portion very often. 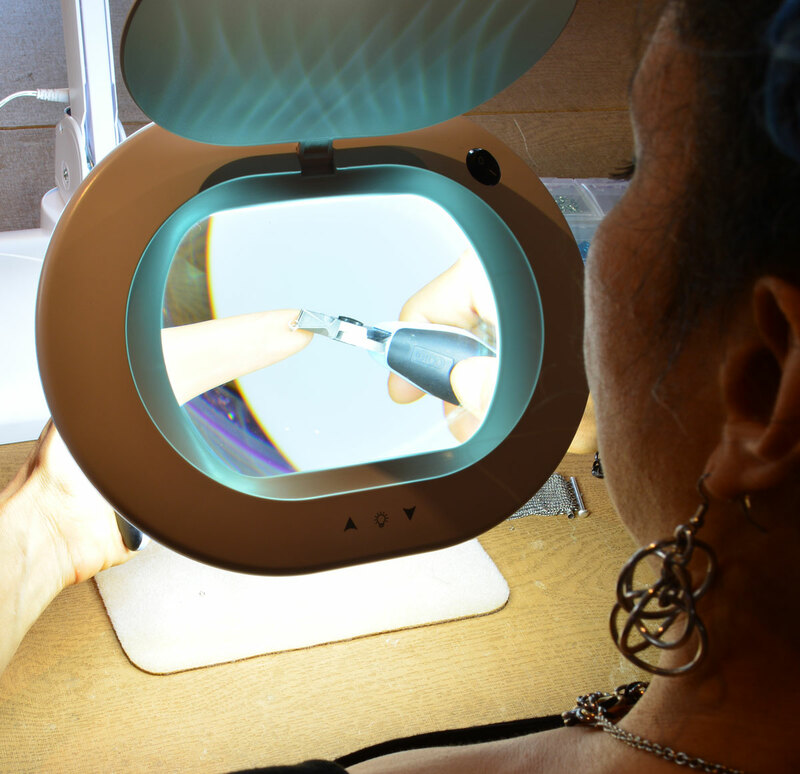 However, I did have to do a repair on my micromaille cuff, so I decided to test out the magnifier. 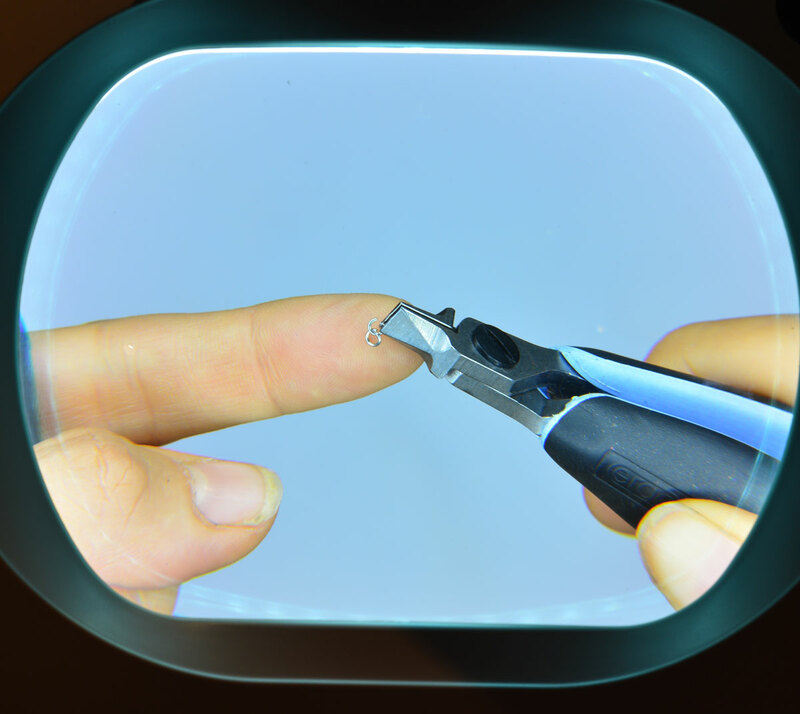 In all honesty, though, I probably won’t often use the magnifier. I’ve always found it a bit disorienting to transition back to “normal viewing mode” after having peered through a magnifier for an extended period of time. I’ll just take advantage of my good vision for as long as I can, and then when I really do need the magnifier, it’ll be there for me. Another feature I was excited about was the ability to use this as a floor lamp. Chainmaillers can often be found weaving in front of the TV, so I had to try setting up in the living room. It surprised me how easy the arm was to control. It extends with ease and somehow locks into place wherever you place it. There’s a knob just below the light which allows you to angle the light and magnifier how you wish. The cord is 5 feet long, fairly standard for a crafting lamp. Note that the plug connects to the lamp at the bottom of the arm, NOT at the base. This means that if you’re using the floor lamp configuration, the cord plugs in near the middle of the lamp, making its reach essentially 2 feet shorter. This isn’t an issue at my normal work table below, but for working in the living room I needed to use an extension cord to reach an outlet. I’ve decided to keep the Brightech lamp in the floor configuration for use at my worktable. 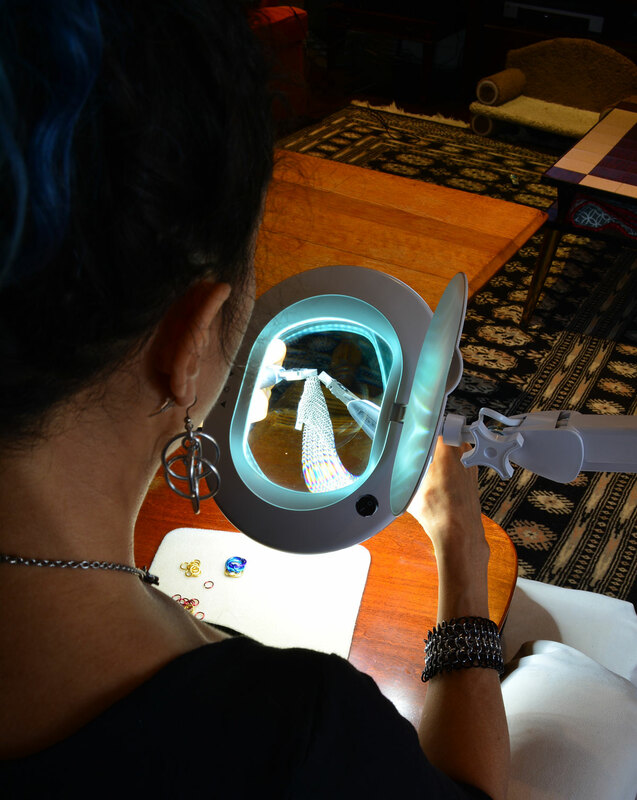 By clearing away my old task lamp, I have more surface on my worktable….and what crafter doesn’t want more space? 😂 If you do want to use the table lamp configuration, the base measures about 7″ x 11″, so know that it takes up a good chunk of space. Brightech also makes a clamping lamp version of this same lamp, but I prefer the 2-in-1 model that I tested because I can quickly and easily move the lamp if needed. 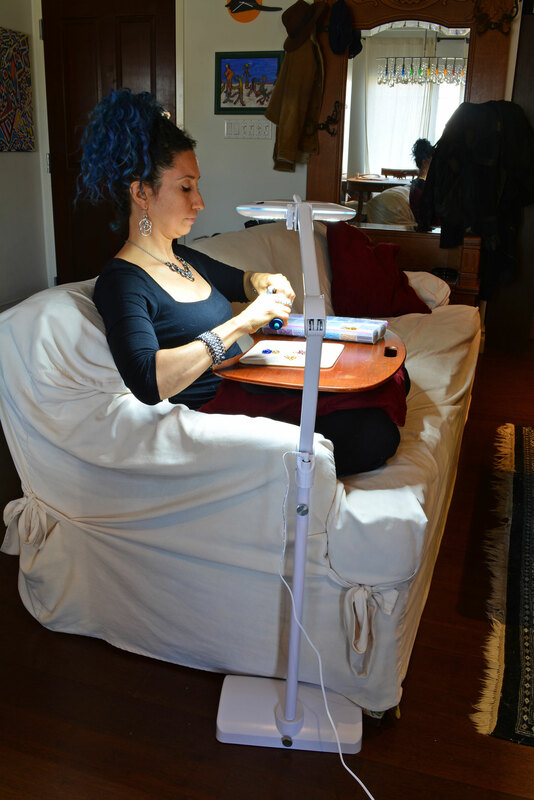 I’ll still use my old craft lamp for travel (it’s small and very portable). But for every day use, the Brightech LightView XL 2-in-1 is my new lamp of choice. Highly recommended! Oh. I should add that there might be competition in my household for this lamp. During my testing week when I was moving the lamp all around the house, I caught my sweetie, who makes scale model and customs, using it to paint some of his work! I have a feeling I’ll be getting him a lamp of his own this holiday season! 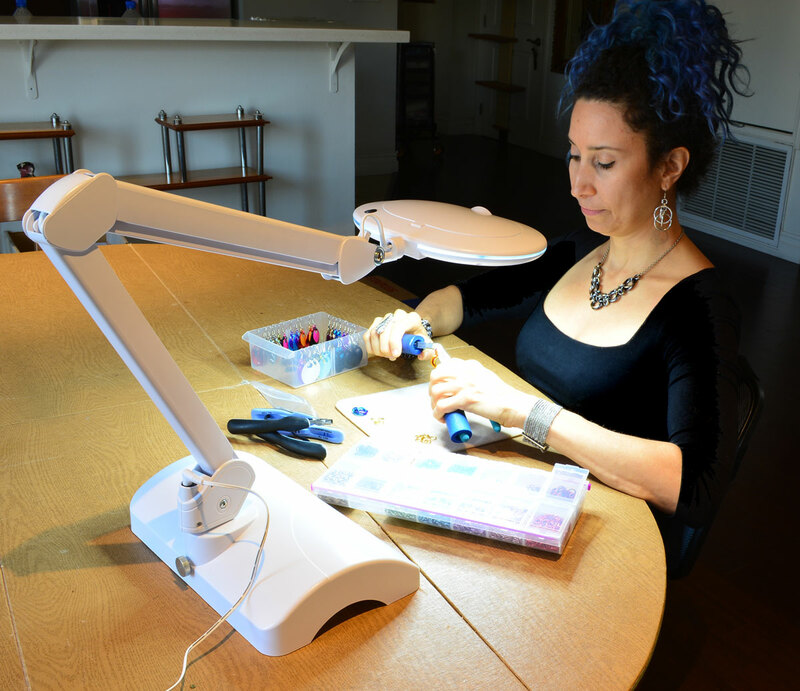 If you’re in the market to upgrade your current lighting situation, or if you know a crafter who could use a lamp, check out the wide selection at Brightech today. Orders $50+ ship free within the US, and this lamp comes with a 5-year warranty, showing that they stand behind their product. Anything else you’d like to know about my experiences with the lamp? Leave a comment below. 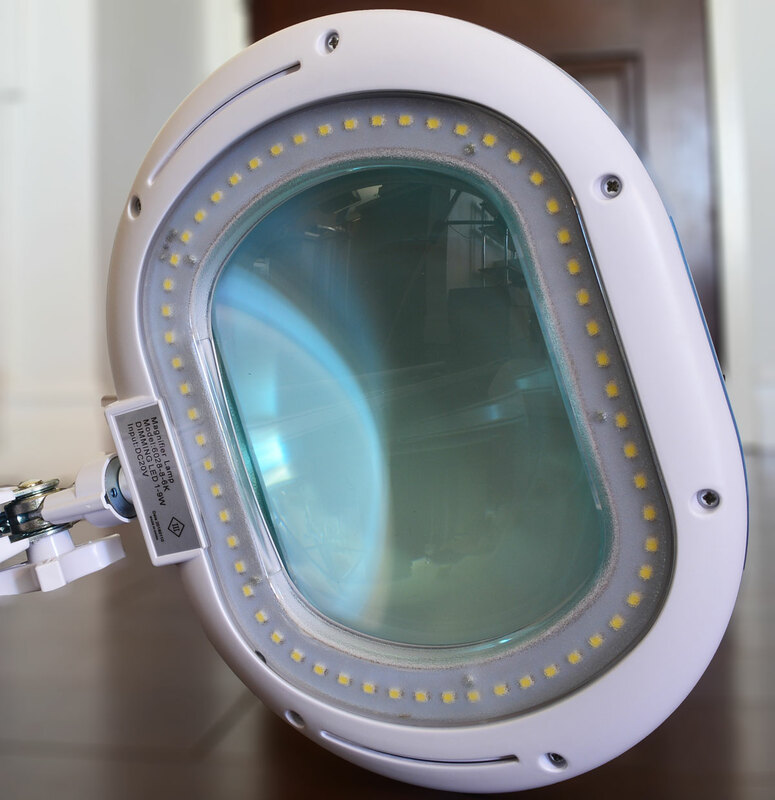 1 Comment on "Crafts Product Review: Brightech Magnifier Lamp Lightview XL 2-in-1"
Thank you for your crafters perspective of this item.